Thinking about death isn’t fun, but after you have a kid, it definitely starts crossing your mind. How do you make sure your family and loved ones are cared for if something happens to you? Spending some time to get your affairs in order will give you a lot of peace of mind in case you get hit by a bus. The most basic thing you can do is write a will (aka last will and testament). If you want to go a step further you can set up a living trust, which I wrote about previously. At minimum, though, you should write a will. Reason: to avoid a long costly probate process. Probate is a legal court process your estate must go through when you die. The purpose is to determine what your heirs get and how your estate is distributed. If you don’t have a will or living trust in place, a probate court judge decides how to distribute your property using default state law rules. These default state laws are called intestacy laws. People prefer to avoid probate. They don’t want the government deciding how to distribute their property. Also, probate is very time consuming and expensive. It can take a year or more to finish. And can cost 10-20% of the estate’s assets before your heirs actually get anything. The first thing to understand is that property belonging solely to you is treated differently than property belonging to both you and your spouse. Your own property is called separate property. It includes, for example, any property you brought into the marriage as well as any property gifted to you individually even after marriage (e.g., property left to you in your parents’ will). Joint property owned by you and your spouse is called marital property. Marital property is generally owned and shared evenly between spouses, which means when one spouse dies they can only bequeath half their marital property because they don’t own the other half. By contrast, you bequeath all your separate property when you die because you own all of it. If you live in a community property state – LA, AZ, CA, TX, WA, ID, NV, NM, WI – any property acquired after you get married is considered community/marital property, shared half and half. When you die, your spouse generally gets first dibs. So, if they’re still alive when you die, by default they’ll inherit your half of community property, which means they’ll own all of it. If even one group of heirs on this list exists, your entire estate goes to them and you don’t go any further down the list. While the default state rules attempt to be intuitive, they are not perfect and may not be the way you intend to distribute your property. The easiest way to make clear your intentions for distributing your property is to write a will. Having a valid will means the probate court will set aside the default state rules and follow your will instructions instead. This greatly accelerates and reduces the cost of probate. Writing a will isn’t hard, but it’s not an “anything goes” task either. You can’t just write down what you think is a will on the back of a napkin, file it away, and then assume you have a valid will. If it were that easy, everyone and their brother would claim they found a will gifting them property from their good friend Warren Buffett / (insert your favorite rich person here). Probate courts would turn into fraud courts trying to scrutinize beneficiary claims. (1) A “testator.” This is just the person whose will it is (you). (2) Capacity. Testator must have capacity, which simply means a basic mental ability to prescribe a will. Generally, this means testator is at least 18 years old, understands her property situation, understand how her interests are affected by the will, and understand that she is executing a will. (3) Present testamentary intent. This just means testator actually intends to write a will (different than capacity). Intent is a factual determination by looking at the language of the will itself and the surrounding circumstances. (4) Signature and witnesses. The will usually must be in writing. Testator’s signature must be present. You’ll need witnesses to verify your signature, but states differ on the specific requirements. Generally, you’ll be fine if you sign your will in the simultaneous co-presence of two disinterested witnesses, both of whom must understand they are witnessing not just any signature, but specifically testator’s will signature. The witnesses must then also sign the will acknowledging the authenticity of testator’s signature. Witnesses must be disinterested, which means they cannot themselves be beneficiaries. A probate court will probably strike down any gifts awarded to witnesses under the assumption that there was undue influence. If any of these requirements are missing, the probate court may deem the will to be invalid. That means it cannot be probated. Which means the court will simply revert to default rules (state intestacy laws) to distribute your estate. Even if you really truly intended for that flawed document to be your will! The point is, don’t screw up the formalities. They matter. And they’re actually designed to protect YOU against fraud and undue influence (more of an issue the richer you are). Handwritten wills are called “holographic” wills. Sounds funny. But just letting you know in case you hear that word somewhere and get confused. Google around or ask a local lawyer for the specific rules pertaining to handwritten wills in your state. In California for example, handwritten wills do NOT require witnesses. As long as the key terms (gifts and beneficiary names) are handwritten in testator’s own handwriting and signed by testator, it’ll be considered valid. The other requirements still apply, however, so testator’s capacity and intent must still be evident. You do not have to write the date on a handwritten will for it to be valid (but you should do it for clarity). However, be aware that, barring clear and convincing evidence otherwise, an undated handwritten will will automatically be treated as older than (a) any dated handwritten will or (b) any inconsistent will that actually follows all formalities (e.g., witnesses). If there are two inconsistent undated handwritten wills found, neither will be deemed valid by a probate court. After you write a will, you might later decide to change it. You might want to revoke it or just modify it. Maybe you had another child. Or maybe you changed your mind about a beneficiary. Whatever the reason, there are formalities you must follow to validly change or revoke a will. Make sure you know them. Otherwise, your heirs may get an unpleasant surprise when they learn that your old will, which you no longer intended to be valid, is deemed by a probate court to be valid. 1. Revoking. A couple ways to revoke a will. One, by physical act. You can rip it up or cross a big “X” through it, for example. If you write a subsequent will that is inconsistent with a prior will (e.g., gift beneficiary is changed), it’ll be implied that you revoked that part of your prior will even without express language revoking it. 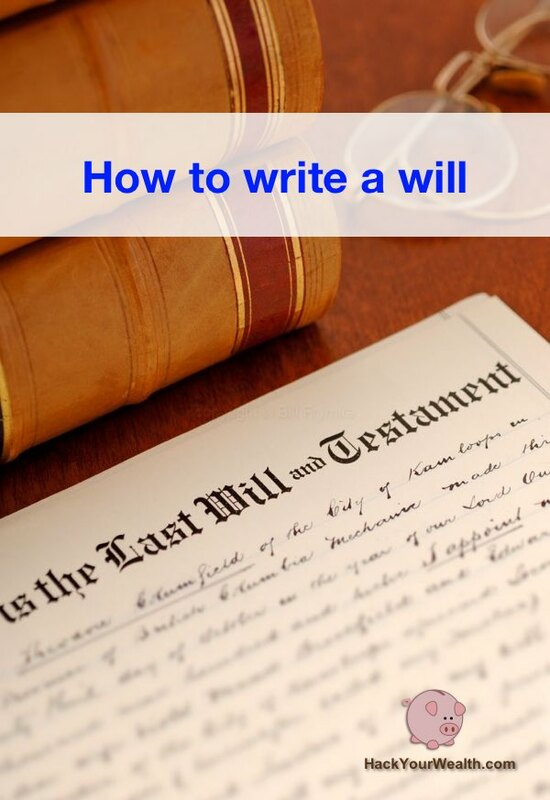 Similarly, a new will that disposes your estate in an entirely different manner (e.g., now you want to give all your property to charity) will be presumed to revoke a prior will, even without express revoking language. 2. Changing. A codicil is a written document that amends (or revokes) a will and must be executed with the normal will formalities. It’s different than a will because it is not, by itself, a will and its scope is more limited. For example, a codicil could be a short 1-sentence document that just adds one beneficiary (say, a new child) but leaves the rest of the will intact. Since a codicil is not itself a will, there is a presumption that if you revoke a will, then all codicils dependent on / following it are also revoked (hence testator will be intestate). Likewise, if you merely revoke a codicil, there is a presumption that only the codicil and not the underlying will is revoked. By contrast, if you write a subsequent will that revokes a prior will, and then later you revoke that second will, there is no presumption the first will is revived: your second will extinguished the first one, and when you extinguish the second will, nothing remains and you’d be intestate. I talk about this in my post on trusts, but a pour over will provision is a clause in your will that “pours over” your estate property into a trust. Why do this? To reduce the time and expense of probate pretty much to nil. This is because a trust is a distinct legal person that never dies under the eyes of the law. And because it never dies, it doesn’t go through the same probate process that a normal deceased person does. A pour over provision basically lies in wait, and then the moment you die, it immediately snaps into effect, and pours over all your assets into a trust which lives on forever. Probate in this case becomes a breeze, almost a box-checking exercise. In this way, even though you die, your trust lives on and your appointed trustee manages and distributes your property for your beneficiaries. Having a will is an important part of estate planning. I recommend everyone who has family and loved ones to look after to write and execute a will. The peace of mind knowing your property will be distributed intentionally, according to your wishes, without a probate black hole draining away time and resources, is more than enough motivation to step on it and get a will in place. You can technically write a will yourself (don’t need a lawyer). Google around for sample wills or download the one in this post. Unlike a trust, for which I do recommend a lawyer if you don’t know what you’re doing, a will should be “user-friendly” enough to be written by most anyone. 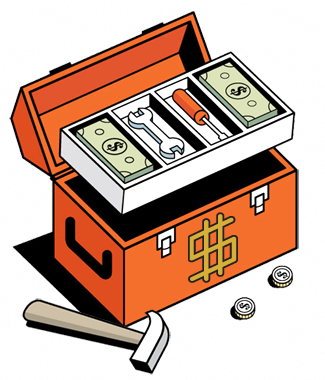 Using the tips I’ve explained here plus common sense should be sufficient for you to confidently write and execute a valid will. But if you don’t want the hassle or just want to be extra sure you did it right, you can also hire a lawyer to guide you. Either way, please spend the little bit of time/money upfront to do this to give you peace of mind for this important part of estate planning. Discussion: Have you written a will? Do you have a trust and/or pour over provision? Why did you decide to structure things that way? Any special situations that made your will complicated? Leave a comment below!